The following resources are provided for schools and educational institutions, to extend students’ engagement with C-A-C’s artistic programs. Please contact Education Officer for hard-copies or additional information. 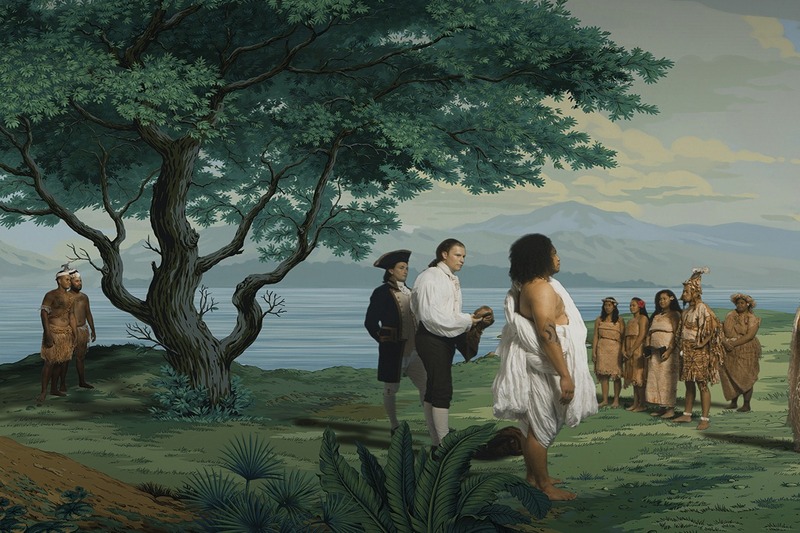 Acknowledgements: The New Zealand at Venice Biennale Digital Learning Resource is a collaboration between Museum of New Zealand Te Papa Tongarewa and Creative New Zealand Toi Aotearoa, with support from Auckland Art Gallery Toi o Tāmaki. Te Papa especially thanks the Artist, Lisa Reihana and Curator, Rhana Devenport for their support. We acknowledge the Expert Teacher Panel for their contribution to the making of this resource: Ros Cameron, Claire Chamberlain, Bridget Blair, Syleena Douglas, Jania Bates, Rhea Stevenson, Susan Haugh, Fiona Crawford and Graeme Anderson. We acknowledge the Dharawal community for their work with Lisa Reihana on in Pursuit of Venus [infected].